This home is nestled on a corner double lot with a picturesque setting among beautiful granite rock outcroppings and easy care landscaping. The upper level features an open floor plan combined with a dining/family area and a gorgeous, newly remodeled kitchen with Dura-Ceramic floor tile, knotty cherry cabinets, engineered stone counters, center island and recessed lighting! There's also a master bedroom suite with Jack/Jill full bath. The main floor consists of a welcoming foyer and a spacious family room. The walk-out lower level boasts a family/rec. room with a functioning kitchen containing extra cabinets and a sink, two additional bedrooms, 3/4 bath and laundry/mechanical room. 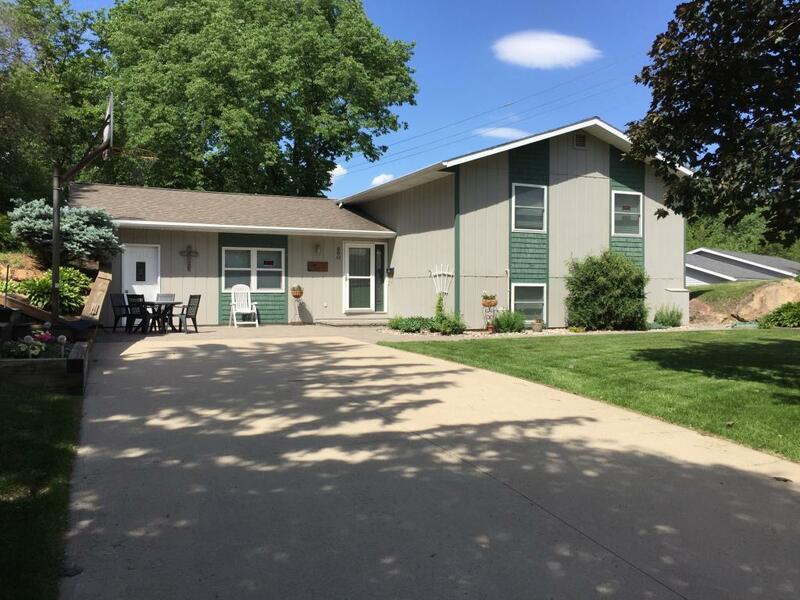 Detached two car garage is insulated, heated and finished with an attic for storage. Need more space for another car, boat, etc.? The family room can easily be converted back into an attached two car garage. Be sure to check this home out!